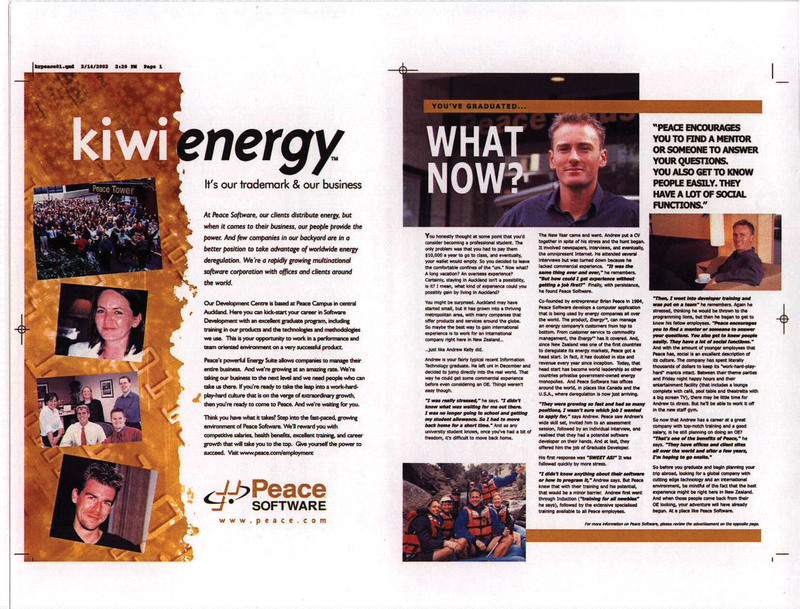 Peace Software is one of New Zealand’s largest employers. Like other companies, they find it difficult to bring in young new talent. After going to a University, most young people go abroad on an overseas experience. Peace put together a full page ad, along with a mock editorial interviewing one of their new employees. The goal of this piece was to convince young people to get a jump start on their workplace competition by getting experience at Peace Software right away.